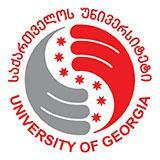 On 28th of January, School of Sciences and Technology of the University of Georgia hosted a public lecture on- “Cardano Blockchain Tbilisi”. At the event, Scientists discussed potential of startups utilizing the Cardano platform and its various advantages of the platform, such as smart contracts and other blockchain based tools. Among the guests were Mr.Edsko de Vries PhD and Cardano/IOHK business Development Manager Mr. Daniel Friedman. Stay reminded that Cardano is third generation cryptocurrency. Cardano is a decentralized public blockchain and cryptocurrency project and is an open source with own cryptocurrency. IOHK and Cardano are one of the top industry leaders in the field of blockchain technology.